Sweetest Day is always observed on the third Saturday in October. 80 percent of Hallmark’s Sweetest Day cards have a “love” or “romance” theme. Hallmark first made Sweetest Day cards in the mid-1960s. Sweetest Day is an original American holiday not based on any group’s religious tradition. It’s simply a reminder that a thoughtful word, deed or small gift enriches the life of the recipient as well as the person giving it. Legend has it that Sweetest Day was established around 1922 by Herbert Birch Kingston, a Cleveland, Ohio candy company employee who wanted to bring happiness to the lives of those who often were forgotten. Kingston and others distributed candy and small gifts to orphans, people confined to their homes and others to show them that someone cared. In the early 1930s, movie stars got into the act. Ann Pennington distributed candy to 2,200 Cleveland newspaper boys, and Theda Bara gave candy to theater-goers and patients in Cleveland hospitals. In time, the Sweetest Day idea of spreading cheer broadened to include everyone from family members to sweethearts and coworkers to acquaintances. Observance of Sweetest Day is still most prevalent in the Great Lakes region where the holiday originated, including Illinois, Indiana, Michigan, Ohio and Wisconsin. But today, the once-regional celebration of Sweetest Day, has spread throughout the country. 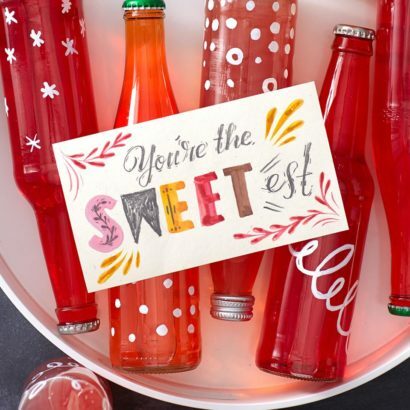 Sweetest Day celebrations are similar to Valentine’s Day in most locations, with the most popular gifts and acknowledgements being cards, flowers, chocolates and candy.